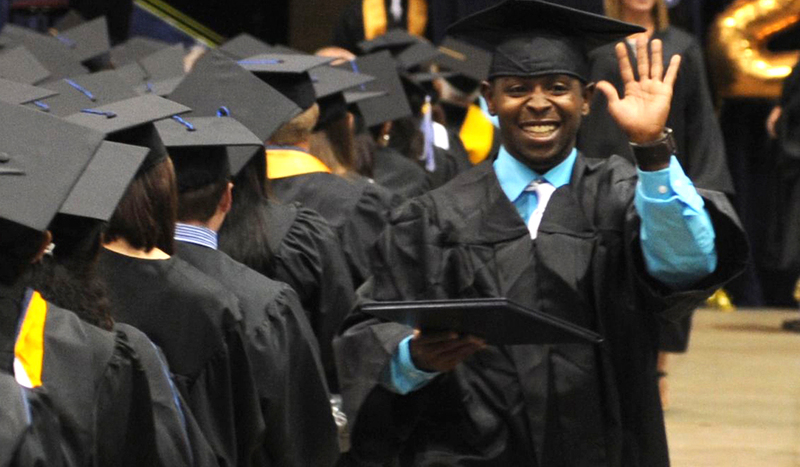 For six years, Simon Wilson fought hard for his dreams, and at Commencement in 2012, he claimed his victory: an undergraduate degree from UIS. Simon now has a job teaching fifth grade at Butler Elementary, and this past summer, he began a master’s degree in Educational Leadership at UIS. For more information about support for students and programs at UIS, visit the UIS Office of Advancement website.